We had a small, but nice turnout last night for our star party, and the weather behaved pretty much as on Friday night, but with just a smidgen more clouds at sunset. However, the very minor clouds were no problem whatsoever except to prevent us from watching the last gasps of the crescent moon go down. I thought the seeing was good but not spectacular, with light winds and warm temps. No dew again last night....a person could get pretty spoiled in those conditions. Our cookout featured a little bit of everything....brats, hotdogs, a couple kinds of salads, some monster avocados, chips, drinks, and some dessert (cookies & ice cream). Thanks to everyone who brought something, helped cook, and/or cleaned up. A special mention to Bernt who did all the shopping for us. Thank you all for contributing and participating. Dr. Mark spent some time with Tony before dinner to help sort out what was the issue with the club scope, and got it producing nice views again.... A little dew/light shield should help out with viewing in Waikoloa's light dome (we hope). We looked at multiple objects with the scope after dark...it needs a working finderscope to help get the "found object count" up, but Tony's working on that. Hopefully, it's just a battery for the red-dot finder. After dinner and cleanup, we all got to business and started our various observing programs. Doug's attempt at "group comet discovery" was attempted but aborted when the comets couldn't even be found using the ephemerides stored in his computer. Not sure yet what went wrong, but I'll research this and report back at the next club meeting. 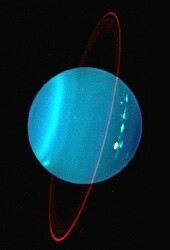 We did check out the moons of Uranus together...success. Doug spent some time with a group looking at the "cherry bomb" open cluster which was a fun exercise in imaginative power. We then spent quite a bit of time on the showpiece objects, this time with an interesting twist. Most folks look at and know the showpieces well....we all look at them a million times. Well, for those who weren't there, let me tell you, we saw some of these objects in ways I have never seen them before (and that's saying something). Cliff brought his I3 image intensifier tube with a hydrogen alpha filter (sorry, no 24" this time), and we used it in the 22" for a dream trip through some normally very difficult visual objects. While we looked at many objects, all of which gave interesting and sometimes different views compared to regular eyepieces, the items I remember most include the M16 pillars of creation (or the squirrel/chicken depending on your imagination), M17/Swan, Helix, Veil, Ring Nebula, Crab Nebula, NGC 1365 barred spiral, NGC253, NGC891, Orion nebula, Flame, and of course the Horsehead. My personal favorites among this list were the horsehead and the Helix. An odd but nice side effect of the tube is that the image is 180 degrees inverted. Thus,the horsehead was upright! And when I say horsehead, I mean the whole head....ears, face, mouth...the real deal! Wow...no way to describe it; you had to see it to believe it. On the Helix, we saw the normally offset two regular shells of gas, and a nice partial 3rd shell from an earlier episode (I didn't even know this extra shell existed). I'll venture a guess that this shell is not visible under any circumstances with normal gear...so it was a nice treat to see it visually. The central star of the ring nebula was poking out in its irregularly normal way using a 12mm Nagler eyepiece, but with the I3 it was steady and visible at all times. A quick check of the sky&tel article on limiting magnitudes of the stellar environment around the ring against my memory of the field shows we got well past 16th magnitude. NGC1365 sported a direct and steady view of the bar and huge arms. I could go on and on regarding details of specific objects, but I won't. Most of the views we saw had a different emphasis than what's normally seen, so the views were really interesting to compare against regular eyepieces. We compared and constrasted different magnifications, filters, and combinations of object types. It's always nice to have lots of opinions and perspectives on gear, and everyone got a chance to see for themselves the pros & cons of this eyepiece on the sky. Thanks to Cliff for being generous and bringing the I3 to the party and sharing it with the rest of us. It was a memorable evening. The sky held up well and gave up great views of many objects. We had some folks learn a bit about barlowed collimation, pointing models, mirror cells, and telescope making. Add to this a great nightsky and I think we can all call that success. I'm sure I forgot many details, and others may want to give their own reports as they may have been doing different projects that I'm unaware of. However, this report is long enough already....I'm rambling. So, another party is in the books. Tony, Kellee, and I closed the event somewhere about 1:30-2:00am. The winds picked up about 1am, and our scopes started to act a bit like big box kites. Since I had spent a good deal of both Friday and Saturday nights at the site, I took it as a good time to get some shuteye. One trip about the site after packing up to make sure nothing was left behind, and we were off. Again, thanks to everyone who participated. While I enjoy going to meetings, the real reason we have a club is to learn from each other and to view together under the stars. Everyone has a perspective to share. I look forward to our future star parties, and hope those who missed out on this one will remember to carve out a place in your calendars for Saturday, January 5th , when we'll do it all again at our Winter Star Party. Until then, see you at the next meeting.